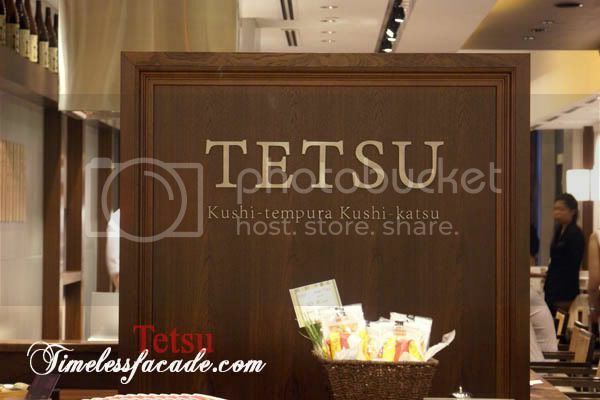 Attended a dinner at Tetsu one weekday evening with my gf. 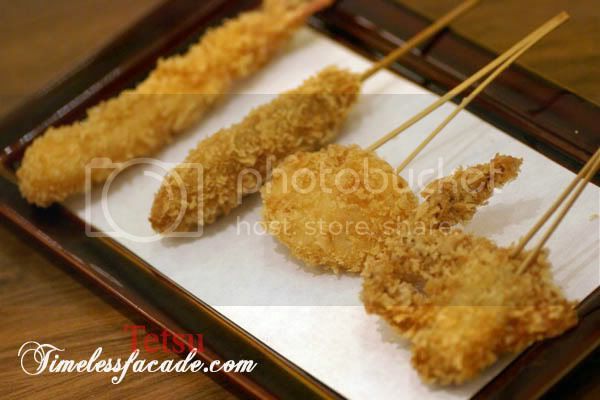 Tetsu, which is owned and operated by Food Junction (yes, the foodcourt operator), prides itself as the first Japanese restaurant to offer Kushi style (food is served in skewers) tempura and Tonkatsu menu which is prepared live in front of you (assuming you take the counter seats of course). 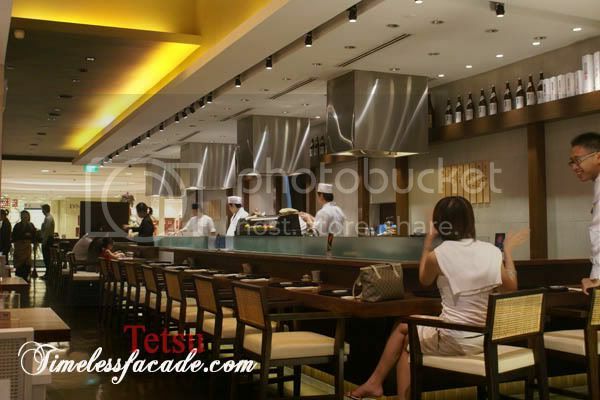 Located on the top level of Tanglin Mall, Tetsu stands out with its chic interior that oozes sublime class without the frills. A partial open concept kitchen coupled with white washed pillars, wooden beams and clever layering of light add to the sophistication. 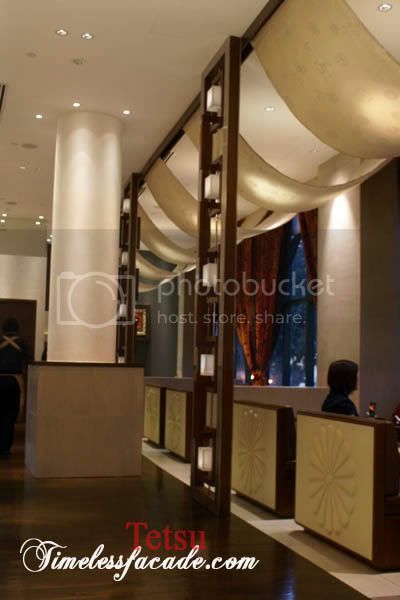 Seats are decidedly comfortable but the tables do seem a little too low for comfort (maybe its just my table). The Kami tofu, or century egg with tofu, was rather easy on the palate and provided a good start to the meal. The tofu was silky yet firm through the addition of eggs (a tad too much egg though), while the finely diced century egg cubes had but a faint aftertaste, ideal for people like me who do not really fancy this variation of eggs. 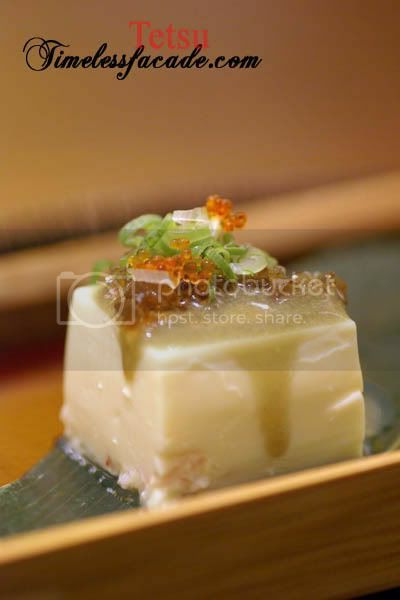 Parallels can be drawn to chawamushi in terms of taste, albeit being much lighter. 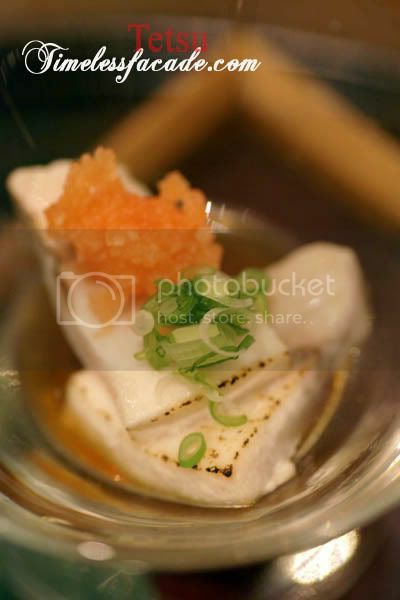 The Kajiki, also known as swordfish or Pacific blue marlin, was another excellent starter. Lightly seared till faintly charred along the edges, the fish, coupled with what I believe to be Ponzu (ポン酢) sauce and spicy radish atop, emanated a nice savoury taste. Only gripe I had was that the texture of the fish did seem a tad too hard and dry. 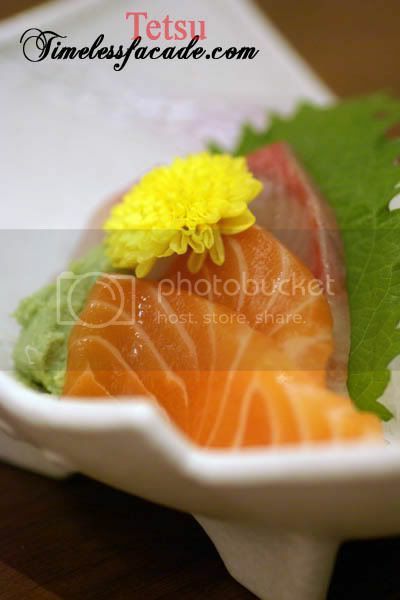 I'm not too big on sashimi so neither the salmon nor yellow tail wowed me. Both were fresh, but I've had fresher cuts before. 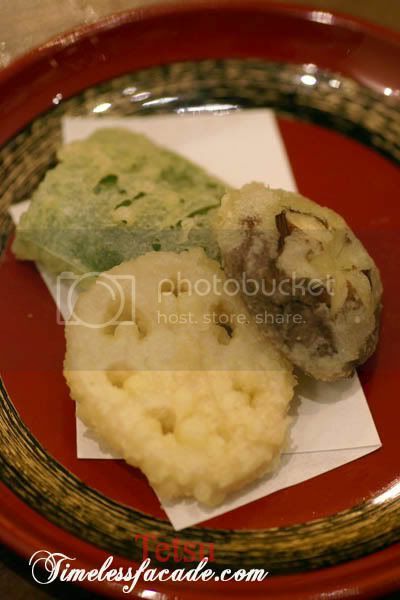 The wasabi or わさび,ワサビ was probably just a mixture of horseradish, mustard seed and green colouring, tasting nothing like the real wasabi, which usually comes grated. But no complaints here as very very few places in Singapore actually serve up the real thing because of its prohibitive prices. 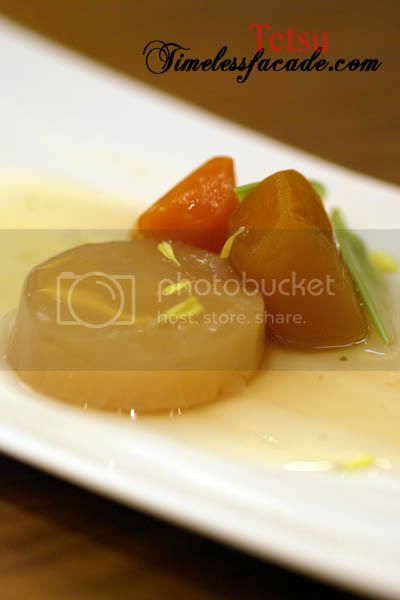 The Yasai Takiawase, or simmered seasonal vegetables, consisted of white radish, carrot, pumpkin & snow pea stewed in a pot for 3 hours straight. Honestly, this dish just didn't do it for me. Everything was soft to the extent of being mushy and nausea inducing. According to the chef, this dish is very popular with the Japanese and it tastes better with every try. I would like to give the chef the benefit of the doubt, but I seriously can't bring myself to try the same dish again. 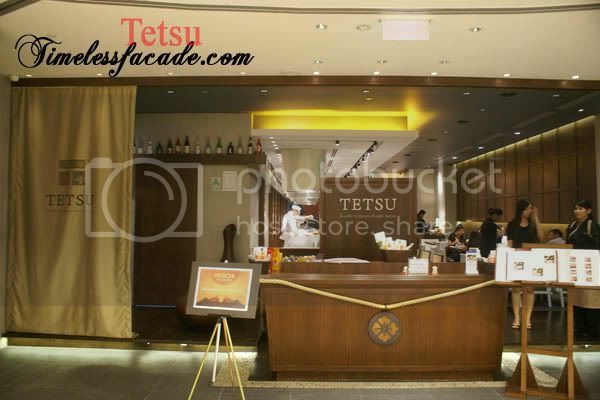 This is an area where Tetsu differentiates itself through its live preparation of Kushi style food. I see it more as a marketing gimmick. Honestly, how difficult is it to prepare food on skewers live? For starters, the food wasn't served hot, not even warm. And I personally found the batter a tad too thick and oily for my liking. The soft shell crab had an overdose of salt while the scallop, though huge and purportedly flown in from Japan, was tasteless. The Hire (pork) Katsu's taste was overwhelmed by black pepper while the prawn didn't come across as sweet. All in all, definitely not my idea of a must try. 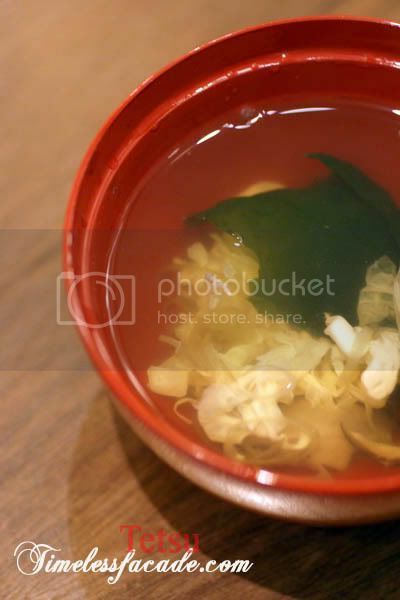 The clear consomme tasted to me like egg drop soup. By and large there's nothing much to comment on it except that it was light and definitely something you can get anywhere else. 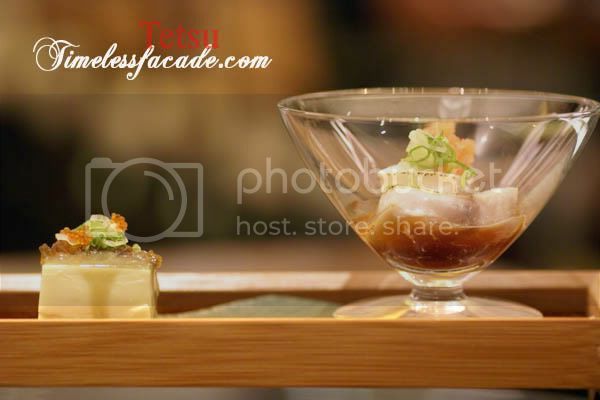 Served up with compliments from Tetsu, the salmon sushi roll was definitely one of the better dishes that evening. 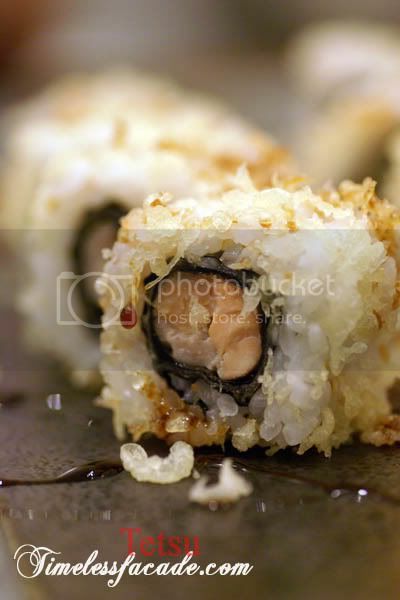 What was interesting was the usage of flakes of fried tempura batter to coat the sushi's exterior, resulting in a nice crunchy piece of sushi that carried a lightly sweet overtone from the drizzled teriyaki sauce. Couldn't quite make out the cooked salmon taste though, save for a very faint smokiness. 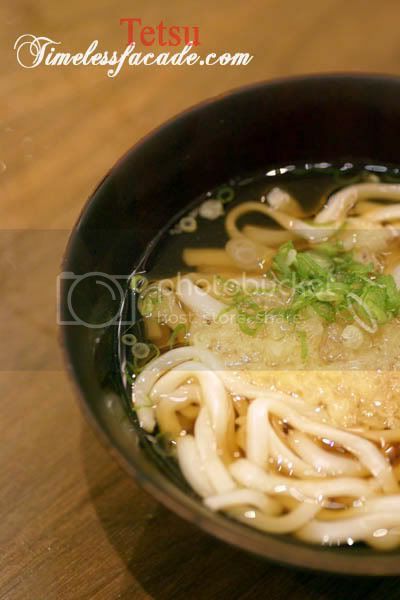 I found the udon quite decent, with the noodles chewy and not too "fat" and the broth lightly salty with lots of tempura flakes. The sides of mushroom, lotus root and capsicum provided some frills to this simple dish but proved to be rather flat. Rock hard, straight from the freezer and totally uninspiring. My 3 adjectives to describe the Goma ice cream. 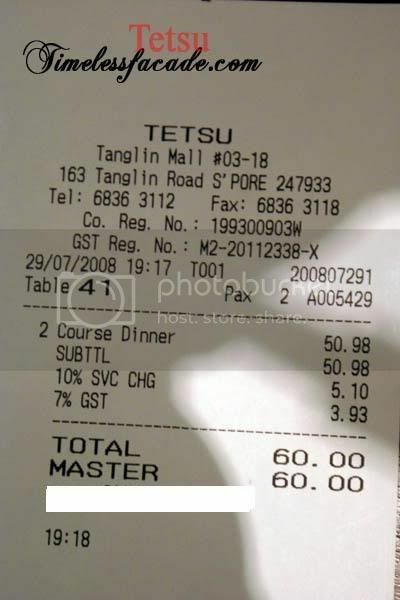 As it was a prearranged dinner, the cost was capped at $30nett per pax. Portions were sampling size and I personally felt that $30 for the stuff we ate wasn't exactly such a great deal as nothing on the menu seemed really expensive. Service was good, but then again thats subjective. Overall the dinner was an average affair for me and I seriously doubt that I'll be back. Sounds like a really bad dinner for you & gf. My condolences. :( But I don't think you're the only one who thought this way too. Btw, how much was this dinner worth actually? haha! so fast yr review is out already. 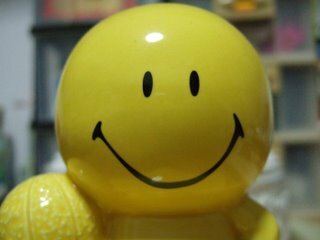 thanks for coming anyway, i think the standard got affected abit, it was better when i went the last time. i'll try to go there in a small grp. see if its any good. 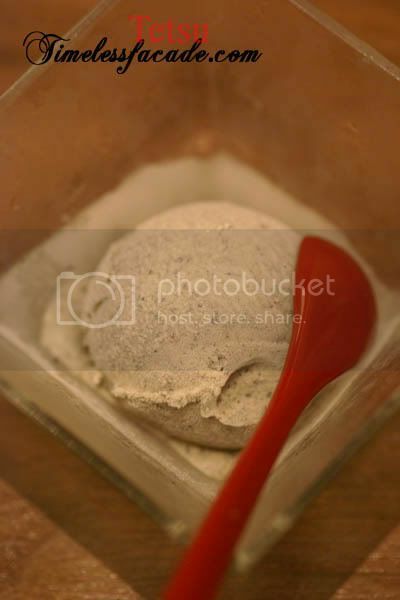 Goma ice cream at GyuKaku & Sushi Tei are yummy! GyuKaku's ice cream are all imported from Japan.